Who doesn't love a beautiful box ? I am chuffed to bits with this little beauty. Its an Origami style box. I found a great video on You Tube by an Australian demo called Tanya Bell who created it. I made one and realised it was the perfect size to hold 8 tealights. 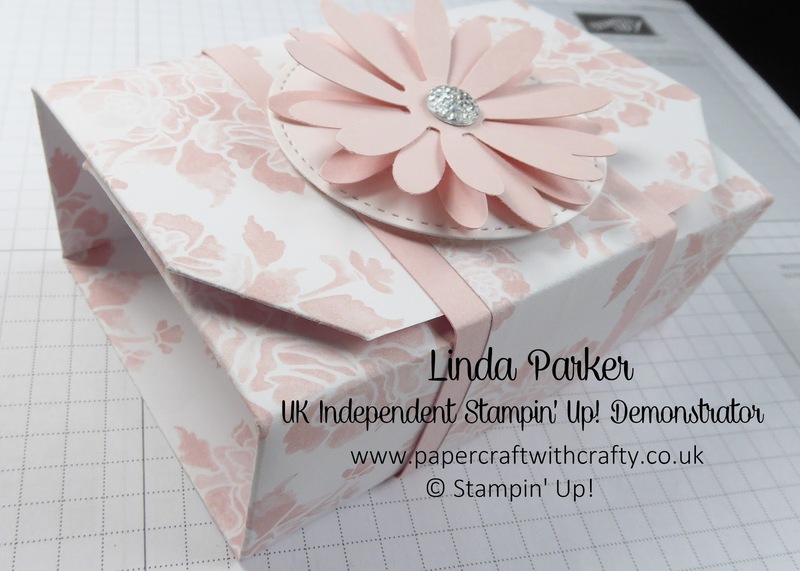 So I decided to showcase Tanya's fab design using the gorgeous Fresh Florals Designer Series papers in the new In Colours and also to show off the beautiful new Daisy Punch - its my favourite new toy ! Thanks for stopping by and bye for now.